This book is a roadmap for your healing process. Written by Abby and published by Llewellyn, now available in the USA. Coming to the rest of the world in May, 2019. 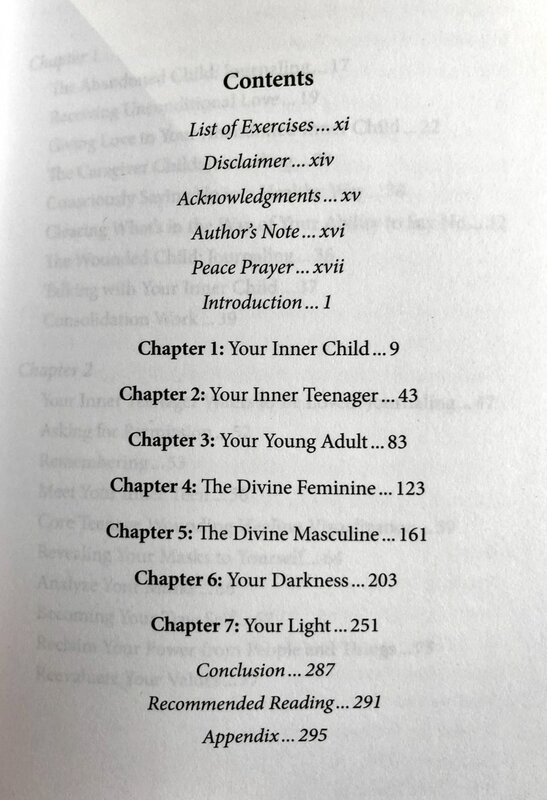 Here’s a sneak peak inside the book! There is so much work in here, based on both my own personal journey, and work I have done with clients, and with groups. I know that there will be something here for anyone who is on a path of personal growth and development. It’s not a book to read quickly – you might want to read it right through first, and then go back to the sections, the pieces, the exercises that are calling to you. You can also use it as an oracle – let the book fall open at a page, by itself, to give you a message or answer a question you may be working on. From the back of the book…..
You’ve become an expert at surviving the ups and downs of life, but now is the time to start feeling worthy of the good life you dream about. 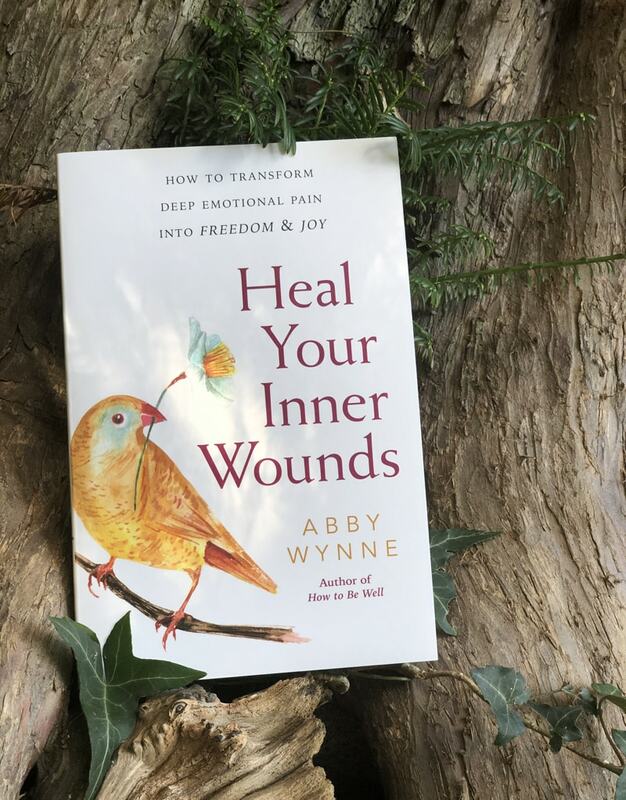 This inspiring book features Abby’s unique methods from Shamanic Psychotherapy so you can experience deep, transformational healing, no matter where you are on your journey. 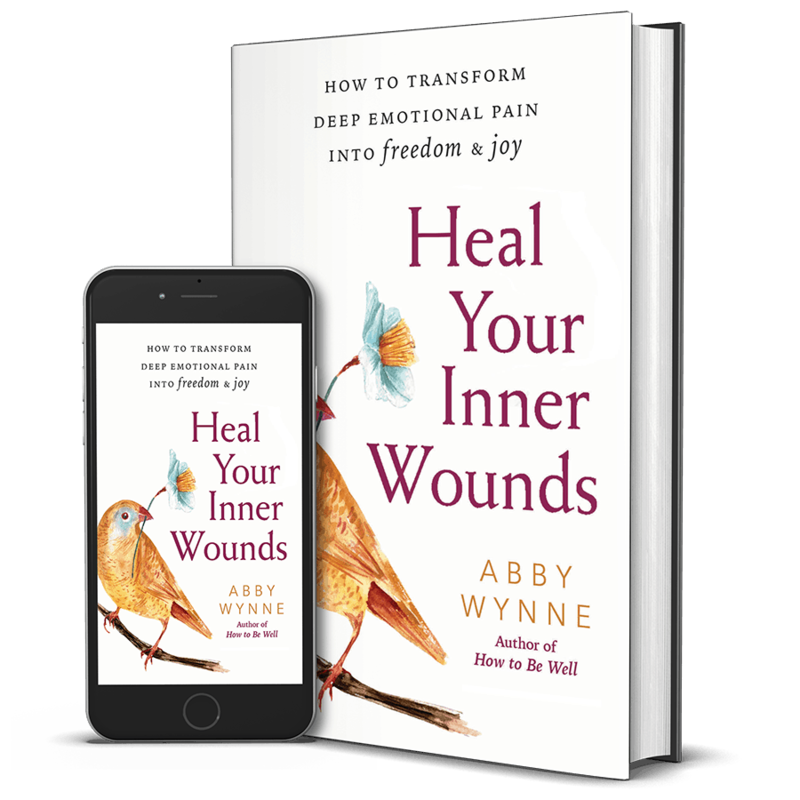 Heal Your Inner Wounds guides you through each step of life from childhood to adulthood and shows you how to work through and release the pain and resentment that may be lingering. Whether it s caused by relationship trouble, family problems, or self-esteem issues, Abby Wynne teaches you to let go of resentments from the past so you can have a more positive future. If you order from Amazon, I would greatly appreciate it if you could leave a review of the book for me! Thank you!! With many practical, do-able exercises, written in a clear, step-by-step format, this book will guide you through your own personal healing process. It doesn’t matter what your gender is, how old you are, whether you have done work already on your wounding, or not. This book is for anyone who is ready to heal their own, inner wounds. I have over 20 years experience of working with healing, I have worked with over 1000 people in one to one sessions over more than 10 years, and we all have one thing in common – we want to feel better. But this does take work, and it takes time. I highly recommend that you gather a support team around you if you choose to dive into the work of healing your wounding, as it can bring up emotional pain and difficult memories as they come up to be released. By this I mean some friends that you trust, family that you love, or a therapist that you connect well with. You are not here to do this work on your own, but you are here to do this work. I’m here to help – I can support you too through my pre-recorded audio sessions, my group online healing sessions or a one-to-one. It’s time for you to shed the layers of the burden of pain you have been carrying and step into a new archetypal energy of vibrant health. We no longer need to be survivors, we need to learn how to live in radiance, how to celebrate life in all of its beauty. I truly hope that you find this book a treasure trove of information and a gentle yet powerful guide for your healing journey. I encourage you to bring it into your therapy sessions if you feel it would be of use to you! In appreciation for the book and the bonus materials I would ask only that you visit Amazon or Goodreads and leave a review. Thank you so much!